Last summer, A had her first trip with farfar and farmor. This time, our destination is Prague. Why? Because no one of us except papa has been to this beautiful city. I heard that there are many things to see there and yes… I was completely amazed by the buildings and surroundings in this pretty place. I would not be able to write everything that I adore in one post, so I decided to devide them in many posts (with hope that you will not get bored :D). 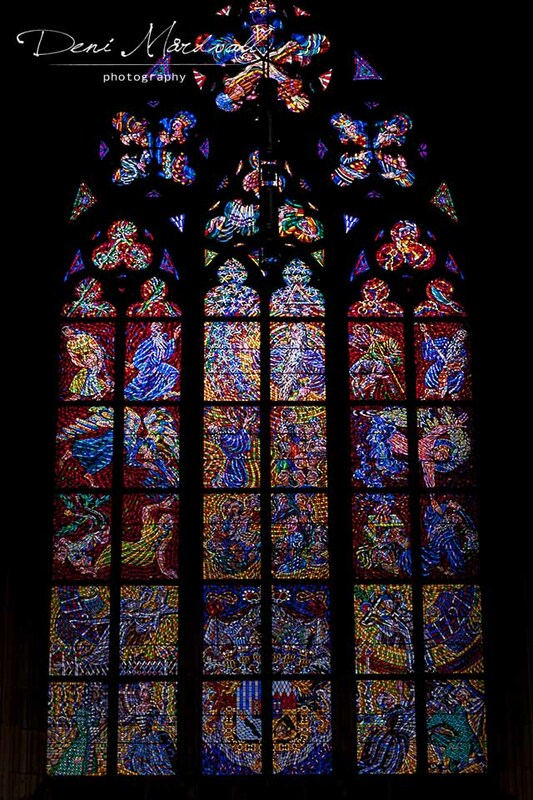 First stop, I would tell you about is St. Vitus Cathedral. First day of our trip started with a visit to Prague Castle. In the morning we decided to have long walk through the famous Charles Bridge to reach it. The weather was quite warm for us who had mild summer in Stockholm. It was about 35 degree Celcius but we would like to see more along the way to this famous tourist destination. Actually the distance is only about 2,4 km but because it was an uphill road and hot weather, it took us about 35-40 minutes to reach the castle itself. We stayed quite central in Prague, the apartment that we rented was located in Prague 1 which is the same area as Prague Castle. We passed many if not thousands old yet beautiful buildings that made us done some stops sometimes to just enjoy the details of those houses. Strangely enough we didn’t feel so tired when we arrive in the castle area even though the last bit of the path way was quite steep to climb. Well, actually we grabbed some juice before we climbed that last bit before the castle 😀 The view was just breathtaking as you see from the first picture of this post. Don’t you agree with me? 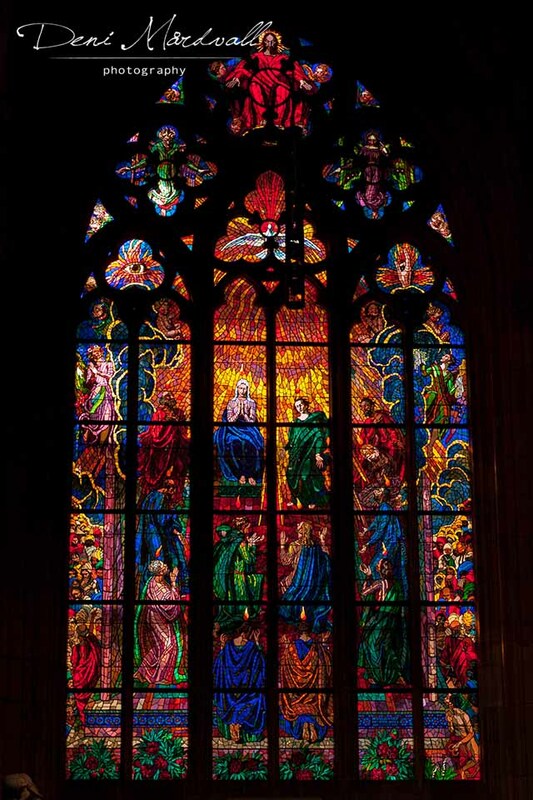 The admission was not so bad, it was about SEK 149 but you could see lots of places inside of the area and one of them was St. Vitus Cathedral. We didn’t bought the tickets with tour, because we wanted to move freely. When we arrived there, we weren’t alone at all. The que was building up outside the entrance of the cathedral. It took us about 10 minutes before we were able to be inside the athedral. This Roman Catholic Cathedral has gothic architecture where the outside details could make your eyes stuck to look at it and make your mind wondering how they built and carve those amazing lines. So, even though you stay in line outside, you still could capture and enjoy every corner of it. 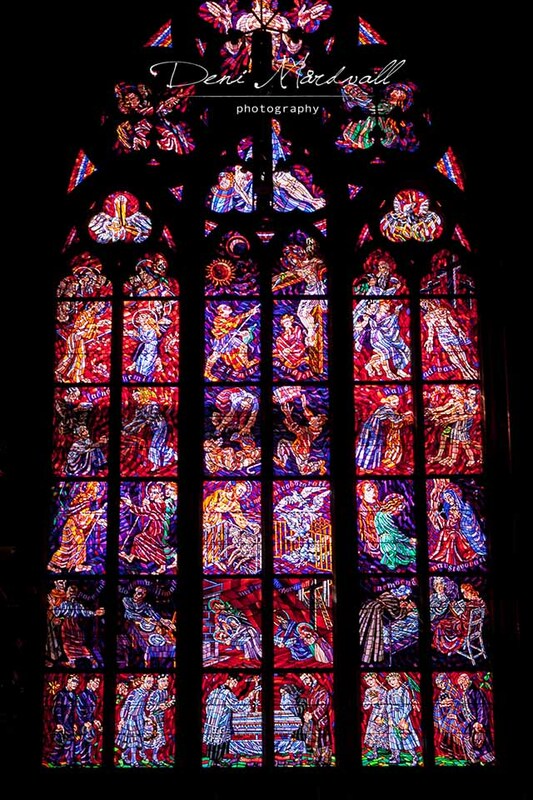 The other things that I really amazed of was the windows of the cathedral. They are so beautiful and I couldn’t take my eyes off of them. I have tried my best to capture those windows wih my pocket camera and hope all of you still can see what I mean by saying that they are beautiful. We didn’t stay that long inside because honestly speaking, it was packed with tourists. It was quite hard to capture anything inside the church without someone elbow hits your arm or body. Every one of the visitors wanted to shot and at the same time listen to what their tour guide saying about the cathedral. Inside the cathedral was quite dark even though you still can see the sunlight came through those big and pretty windows. 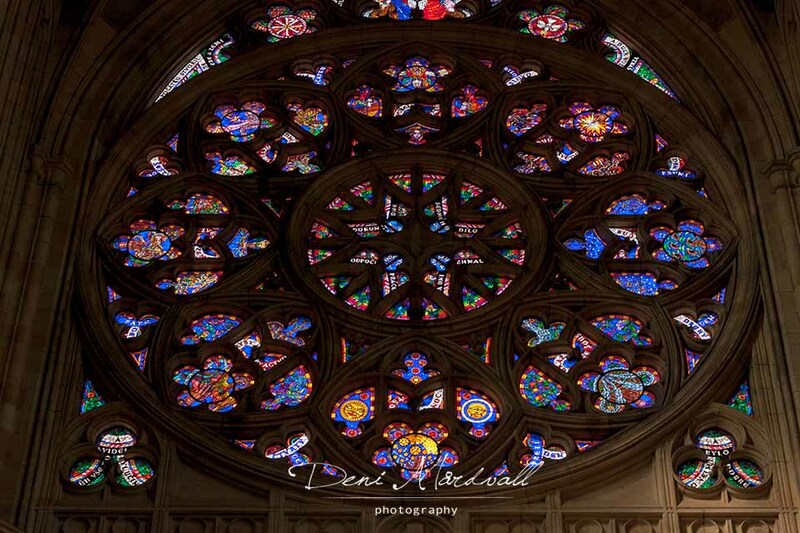 The interior of the cathedral was very fascinated but for me personally, its exterior was just devine. 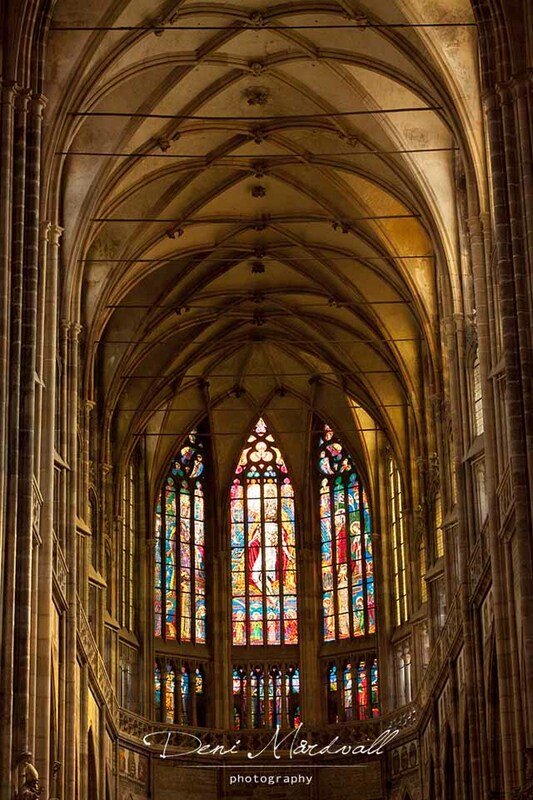 I would be happy to just sitting outside and admiring this fabulous cathedral from outside. In every angle of it offers you view that you will remember for long time if not forever. If you come in the right time (about noon) there was a changing guard procession by the cathedral and this was one of attractions that definitely attracted people to gather around. 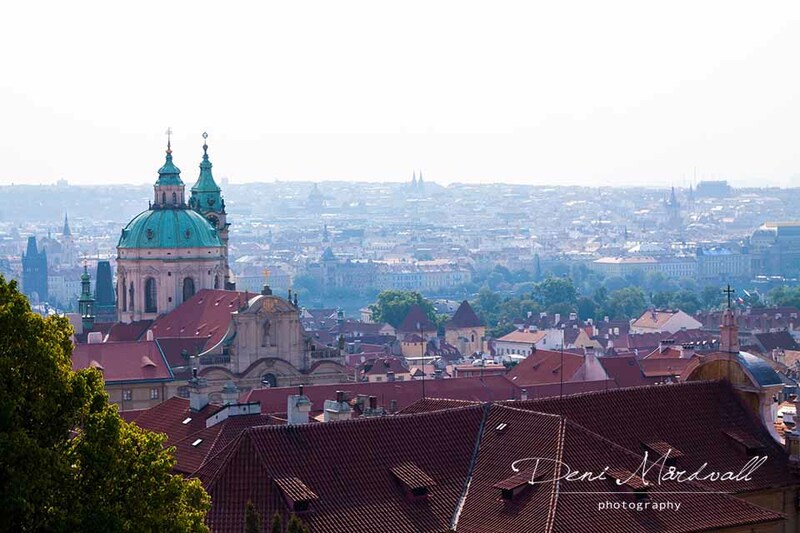 My tips to you -who is happened to be in Prague now or have plan to visit the cathedral- is start your day early. Especially when you are going there in the summer. We didn’t know before that Prague could be that hot in the summer. It was unusual even for the local people that we got chance to talk to. Even though we started at 9 from home and we were there around 10 o’clock, we ended up stood in the que in quite warm and made us sweat alot. Trust me, when we went out from the cathedral, the que even longer and there was loooong que to buy the admission in the ticket office. Don’t forget to bring your own water because you will definitely need it when you are not used to such weather which was above 35 degree Celcius. For you who doesn’t want to go by foot to reach the Prague Castle, you can take Hop on Hop off bus, or rent segway which I found it was quite popular for people rooming around with those two wheels transportation. We loves walking that is one of the reason why we try to stay on foot as much as we can when we are travelling. We hope that one day our Sunshine will have the same interest as us, enjoy surrounding by walking. If you loves do some sight seeing by foot then definitely I would recommend you to do that, it is definitely worth it. 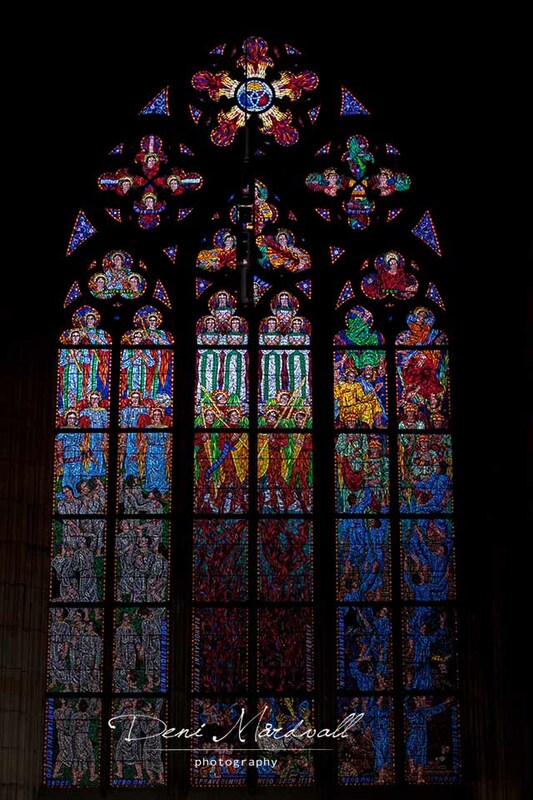 St. Vitus Cathedral is definitely one of many places in Prague that I would like to visit again in the future. This visit was great but I wasn’t able to take picture as much as I want with a couple of reasons and one of them as I mentioned above was too many people inside. Overall, the experience we had was unforgetable especially this was one of places that farmor wished to visit. We hope that we will travel more in the future together. For now, we are satisfied and happy that we choose Prague as our first destination together with our sunshine, A! More great destionations to come and of course you will be able to read it here. This entry was posted in 2015, Being 38, photography, Tourism, Tourist destination area, travel and tagged 2015, photography, tourism, travel. Bookmark the permalink.